US Senator Edward M. Markey on Monday continued his push for legislation that would prevent any president of the United States from launching a nuclear first strike. “No human being should have the sole authority to initiate an unprovoked nuclear war,” said Markey. 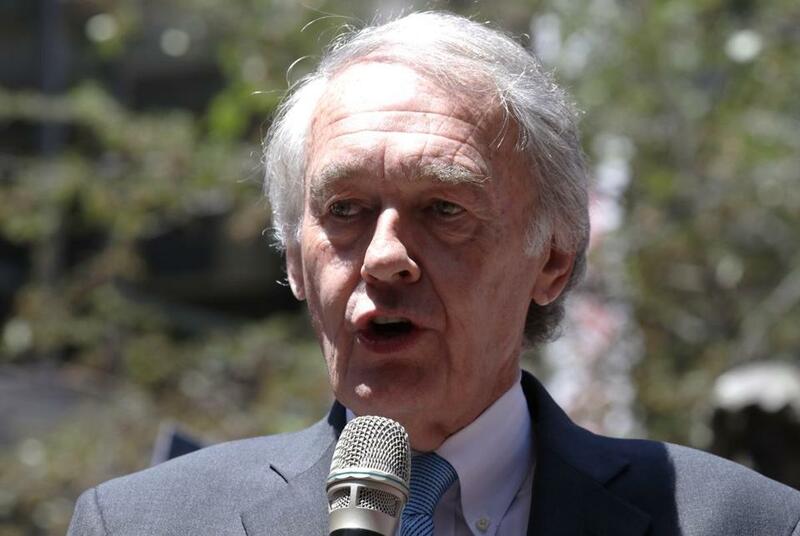 “Our legislation afddresses the dangerous risk of nuclear first use,” Markey said at a news conference at the federal building in downtown Boston. He said the need for the legislation, which he introduced in January with Representative Ted Lieug of California, has been underscored by President Trump’s recent “escalating, reckless and downright scary rhetoric,” threatening North Korea. “As long as President Trump has a Twitter account, we need a no-noclear-first-use policy,” he said. Presidents are currently able to launch a nuclear first strike. With North Korea making progress toward developing nuclear missiles, Trump erupted in a stream of public threats against the country last week. At one point, he threatened North Korea with “fire and fury like the world has never seen” and at another point, he boasted about the US nuclear arsenal. His language has raised at home and abroad of nuclear conflict.